The story of the only human boy at the high school for aliens at Area 51. Think: Harry Potter meets Star Wars. Think your school is strange? Feel like you don’t quite fit in? Fourteen-year-old Sherman Capote is an Air Force brat used to moving schools. But he’s never been to a place like Groom Lake High, the high school for aliens at Area 51. It’s a totally alien environment filled with cliques and bullies, but he makes friends with a gang of galactic misfits: Octo, a quick-witted Ventitent (a twenty-tentacled “octopus”), Houston, a moody robot, Sonya, a rebellious lizard, and Juliet, an omnipotent goddess. But when the school bully, Ned, initiates a War of the Worlds, Sherman and his new friends must set aside homework, first crushes and high school proms to save the world. 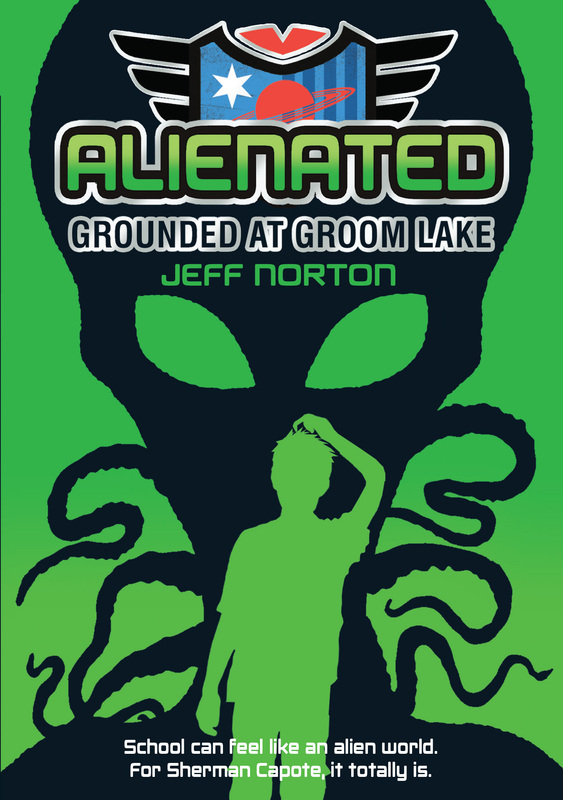 Alienated is absolutely smart, funny, and true. Which might sound unlikely for a story set in a school with a surly robot, a twenty-tentacled life form, and a crush-worthy omnipotent deity. But Jeff Norton knows kids, knows funny, and nails how otherworldly school life can be. It’s funny and exciting and you don’t know what’s coming next. The story is set in Area 51 in America at a school for aliens from all over the galaxy. Sherman, the main character in the story, and his sister Jessica are the only humans in the school. I think this book is unusual, exciting and fun. Anyone who likes a mystery should read Alienated.